Come with me on a luxury painting holiday in Portugal, from the 6th to 13th October 2018. ​ This holiday is hosted by Alpha Painting Holidays. The four star spa resort of Villa Termal Das Caldas De Monchique nestles amongst the National Park of Serra de Monchique and sits on top of the Algarve, where you will find plenty of painting subjects. Villa Termal features an outstanding Thermal spa using the only thermal waters in the south of Portugal and boasts an outdoor swimming pool and an indoor warm rich mineral water swimming pool, well appointed rooms and plenty to do in the evening. There are many facilities within the resort including a self-contained village with Tapas bar that is open all day, a lovely lounge, some art and craft shops, an exhibition centre and a whole array of Spa treatments centred around the healthy properties of the mountain spring. ​The Rooms - The elegant and charming rooms distributed through 5 unique lodging complexes, are furnished with 18th and 19th-century furniture. All rooms are well equipped and traditional in style and include TV, phone, hair-dryer, mini-bar, tea and coffee making facilities. All rooms are en-suite, heated and have AC. The Algarve is well known for it’s amazing light conditions and vibrant colours from the vivid blue skies and turquoise waters to it’s lush green and colourful vegetation as well as the rustic tiled and coloured traditional buildings. The Western Algarve is more rural, rustic and peaceful than the hustle and bustle of the Central Algarve with it’s sleepy harbours, quiet mountain villages and un-spoilt coastline. 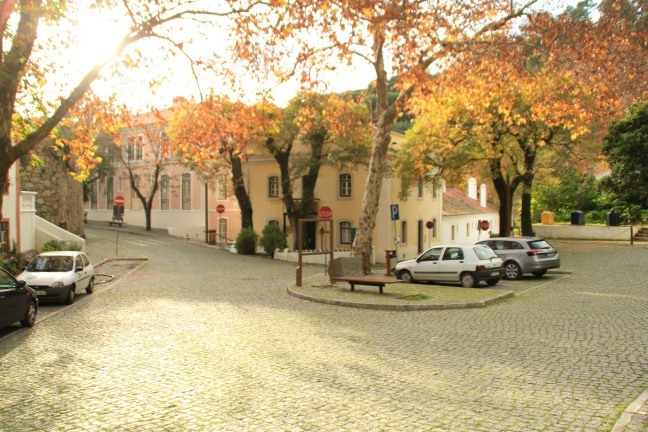 We will spend the first & last painting days at Caldas where the holiday is based as there are many painting subjects within the village and complex including traditional Portuguese architecture, cobbled streets lined with deciduous trees and dappled sunlight. There are buildings perched down the valley giving various vantage points for painting. 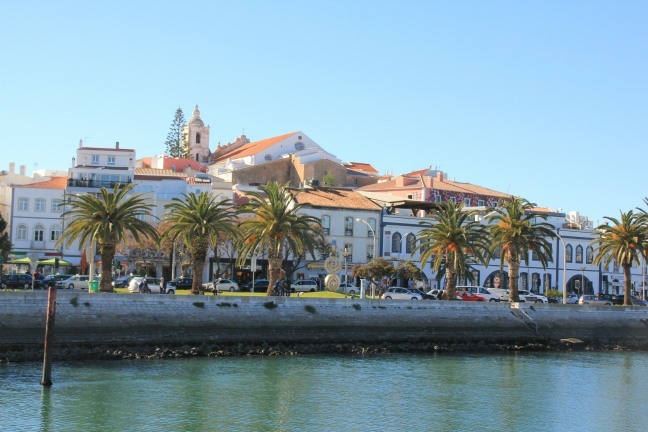 We will also visit the coastal towns of Lagos and Praia Da Luz where you can paint anything from fishing harbours, old forts, traditional Portuguese tiled buildings, churches and town squares to multi-coloured fishing boats with palm trees, beaches and The Algarve Coast. Prices are inclusive of airport transfers, transport whilst out painting, 7 nights accommodation, breakfast, lunches, soft drinks, 3 course evening meals and wine with the evening meals. Prices also include 5 days tuition and use of easels, chairs, boards and other similar accessories and all necessary art materials but you do need to bring your own sketchbook and brushes as these are personal to each painter. Please visit the website of our hosts to find out more and to book in. Just click on the links below to find out more.